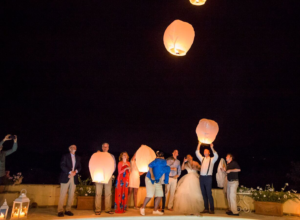 Villa Tre Lune and the secrets of Nemi Lake! An architectural masterpiece carved in the rock at a height of 570 m, clinging to the wooded ridge that surrounds it, with a spectacular lake view. 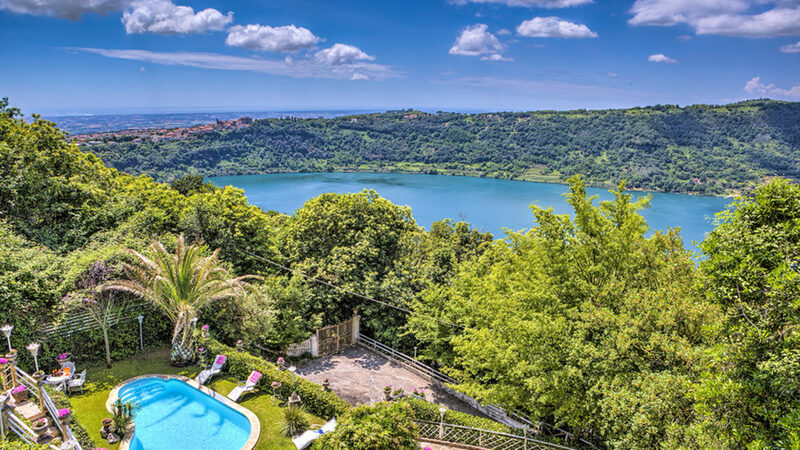 This is the splendid Villa Tre Lune, situated just outside Nemi, the smallest and most precious pearl of the Castelli Romani, set like a tiny nativity scene between woods of holm oaks and chestnut trees and overlooking the legendary Lago Diana, a swimmable stretch of water set in the crater of an old volcano. It owes the name to the fact that under specific weather and astronomic circumstances, it is possible to see three moons, the first one lightening in the sky and the other two reflecting on the sea and on the lake. The original building, dating back to the ’70s but completely revamped, has given life to a magnificent villa of modern design where cement, iron, wood and glass are blended to create a structure of simple and essential geometry but of futuristic design, decorated with attention to the smallest detail and characterized by sophisticated finishing touches, mirrors and pretty lacquering, refined upholstery, pure white marble and Swarovski crystal chandeliers. The strong point of the house are the enormous, overhanging terraces that jut out past the French windows on the three floors of the house: facing the enchanting, immense void filled by the plain with the lake scenario, against the outline of the borgo of Nemi, they will treat you with unforgettable sunsets and a magical night skyline. Of great charm is the park surrounding the villa, a luxuriant garden that spreads over a terraced area across paths and stone steps, along which are set the various levels with the swimming pool, the lounge areas and the fountains with their ancient air up to the last terrace in front of the villa: a green, manicured lawn with an outdoor kitchen and a splendid gazebo covered in jasmine. Located less than a kilometre from the historic town centre of Nemi (reachable on foot along a picturesque path through the woods), which will delight you with its quaint alleyways with balconies full of flowers and artisan shops, the house is an excellent departure point for unforgettable excursions through the large area of the Castelli Romani Park, bordered all around by the peaks of the Alban Hills and custodian of a rich archaeological and natural heritage, whose fame is substantiated by its high gastronomic tradition and production of fine white wines. We are also about 30 km from the centre of Rome, accessible not only by car but also by bus (a bus leaves every 30 minutes from the nearby town of Genzano – connected to Nemi by frequent shuttle buses) or by train (from the nearby stations of Velletri or Albano). For sports lovers there are riding stables organizing rides in the surrounding woods and fishing in the lake. Also worthy of mention is the “Country Club Castelgandolfo”, just 15 minutes away, a prestigious 18-hole golf course set in an old volcanic crater and surrounded by a picturesque setting of centuries-old olive trees and maritime pines. The villa’s park is inhabited by squirrels (protected species) that often visit the garden, the terraces and the roofs, to witness the green and zero impact of the property. 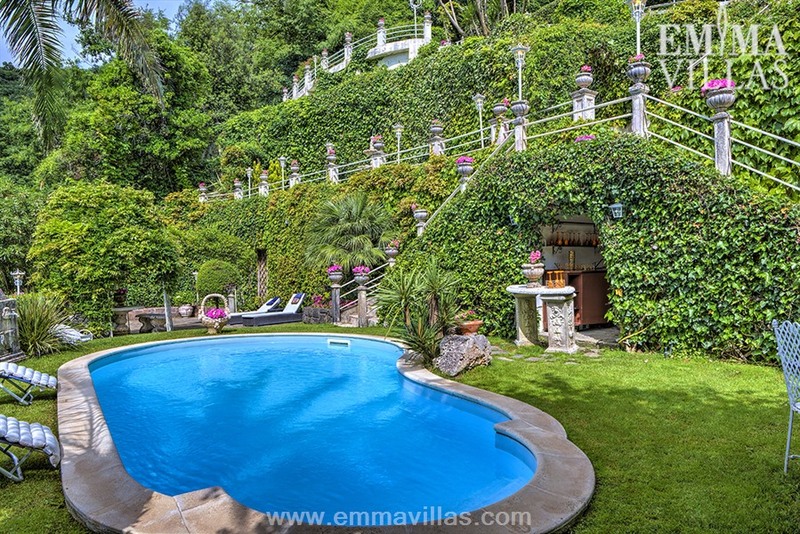 The villa unfolds on the last terrace of the property (which leads to the woodland level that runs entirely around the back). The main entrance leads into an elegant living room with conversation area, TV area with fireplace and seats, dining area with adjoining kitchen. A large glass wall lights up the interior and gives access to the first panoramic terrace, set up for outdoor dining. On this level is a double bedroom and a bathroom with whirlpool tub. A glass staircase bordered by iron bannisters leads up to the first floor with a double bedroom, with dressing room and ensuite bathroom with shower, and a further double bedroom with additional double loft bed (suitable for children up to 14 years). Also on this floor, a French window leads out to the second terrace, across which a short flight of stair leads up to the last terrace, set at an even higher level. Both these super panoramic terraces have seating/relaxation areas. The laundry is in a structure next to the main entrance and is equipped with washing machine and dryer. Inside the 1700 sq m property, the magnificent park, completely fenced-in to ensure total privacy and full use of all the set-up areas, is built on the many scenic terraces extracted from the rock, with the woods bordering on the last terrace of the property (accessed via a spiral staircase next to the main entrance) which has been rendered completely practicable and livable, a cool, quiet corner with a hammock. The garden overlooks the lake and is a riot of colour and scent with all kinds of plants and flowers; it is characterized by romantic flowered paths and stone steps that connect the various areas, while thick tangles of creepers cover the rocky walls that rise up to the last terrace, a very large area next to the main entrance with the outdoor kitchen (complete with stove, sink and barbecue) and a splendid gazebo covered with jasmine and furnished with table and chairs. On the lowest level is the entrance to the property (through an automatic gate) with parking area. A little further on is the swimming pool with sunbathing area. The villa’s park is inhabited by squirrels (protected species) that often visit the garden, the terraces and the roofs, to witness the green and zero impact of the property. 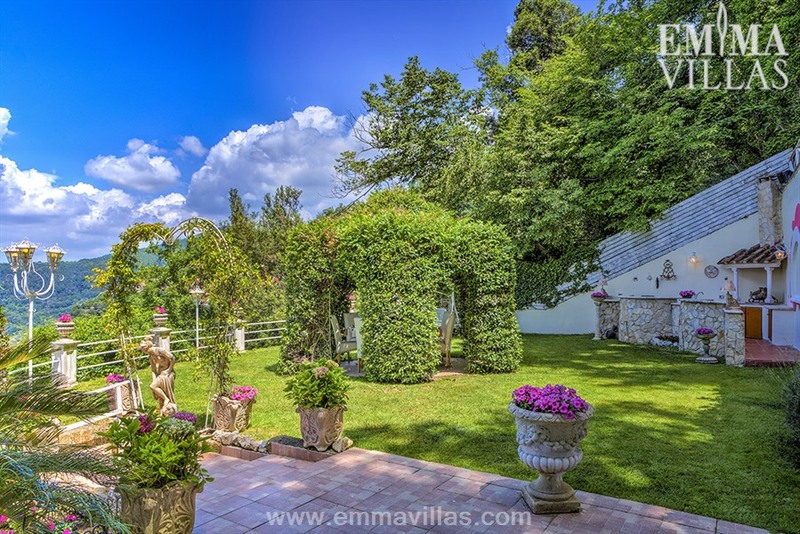 Fifty-one steps through the garden, interspersed with delightful paths across the lawn, lead from the villa to the pool, set on the lowest terrace of the property and facing south. Irregularly-shaped, it has an area of about 30 sq m and a constant depth of 1.20 m. The pool, with Roman steps, is bordered in stone and lined with PVC; bright shimmering internal lights permit use of the pool in the evening as well. The purification plant is chlorine. You can relax in the solarium provided with sunbeds, little tables and armchairs and set in the surrounding area bordered by hedge screens and dotted with luxuriant shady palms and enhanced by a lovely gazebo covered in climbing wisteria. There is a cold-water shower and a brick structure set up as a refreshment area with refrigerator and sink. The swimming pool will be available to guests from the last Saturday in April until the first Saturday in October. Villa Tre Lune is located in the comune of Nemi, a small and vibrant town with a strong tourist vocation, situated on a spur 520 metres above sea level, which dominates its legendary volcanic lake on whose banks stands the Roman Ship Museum, which houses some original artifacts and specimens of the two Roman ships found at the bottom of the lake and dating back to the imperial age. The town is surrounded by a picturesque natural habitat with oak and chestnut woods and is characterized by the famous crops of flowers and strawberries (which inspired the Strawberry Festival that takes place every year in June), as well as for a large number of religious and civil architecture (including the imposing medieval construction of Palazzo Ruspoli, the oldest castle in the area dating back to the tenth century) and archaeological remains, the most famous of which is represented by the legendary Temple of Diana Nemorense. Thanks to its location, the place has since ancient times been a place of rest and otio for the nobility of ancient Rome. Rome is just a few kilometres away and can be reached by car along the A1 Austostrada del Sole (exit at Roma Sud) and easily by bus or train. Coming from Rome, the most beautiful and scenic road to reach Nemi is La Via dei Laghi, starting from the Ciampino airport and crosses the lake of Castel Gandolfo. We are in the heart of the Regional Park of the Castelli Romani, a vast protected area consisting of wooded areas, vineyards, olive groves, lake areas, delightful historic town centres and archaeological sites of great importance. The fertile volcanic soil, softened by a mild and temperate climate, favours a solid and sublime culinary tradition, with its many typical products, oil and prestigious white DOC wines, to be tasted in the numerous cellars located throughout the area. Worth visiting in the area of the Castelli Romani are various characteristic little towns: Frascati, with its 16th century Villa Aldobrandini which towers over the town; Ariccia, artistic treasure of the Castelli Romani thanks to the historical complex of Piazza di Corte, built by Bernini and Carlo Fontana, but also famous for the typical fraschette, characteristic locales where you can enjoy reasonably priced wines, cheeses, olives and other local dishes. Grottaferrata which town spreads around the imposing Medioeval fortification within which we find the Greek Abbey of San Nilo, founded in 1004: a Byzantine monastery of great artistic value, which houses centuries of history, works of art, a library with a collection of precious manuscripts, unique in the world, and its original nucleus: the crypt with windows with double iron grating from which the name of the town originated. Monte Porzio Catone which, thanks to its hillside setting, offers breathtaking views over the city of Rome; here you can also visit the archaeological site of the ancient Latin city of Tusculum and numerous remains of Tusculum villas that once belonged to members of the imperial family; Castel Gandolfo, known for being the summer residence of the Popes, which includes, besides the Papal Palace, buildings of great importance such as the Church of San Tommaso di Villanova, Piazza della Libertà and the splendid fountain by Bernini (but also for the presence of Lake Albano where in summer you can enjoy water sports and nature walks). Furthermore, in the vicinity of Castel Gandolfo golfers can play at the exclusive 18-hole golf course surrounded by nature, the “Castelgandolfo Golf Club”, designed by the renowned architect Robert Trent Jones. 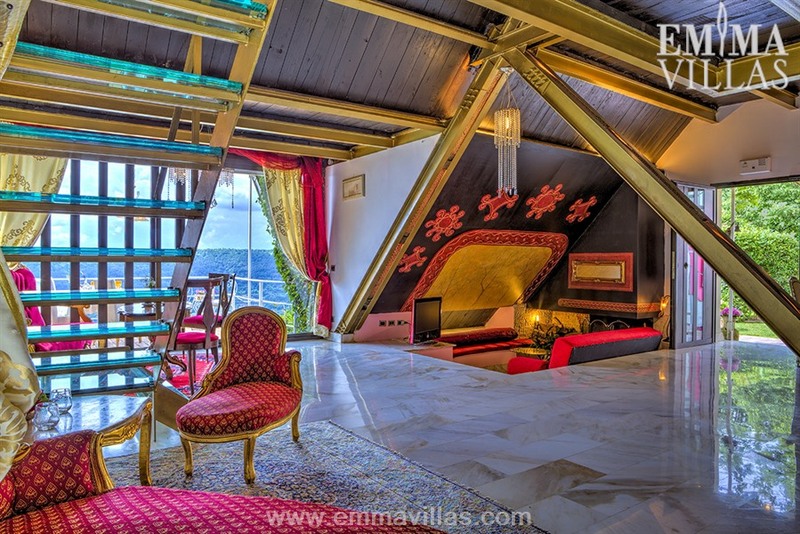 Click HERE to have more informations about Villa Tre Lune! Have you already stayed in one of our villas? 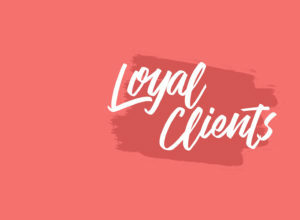 We would like to reward you! 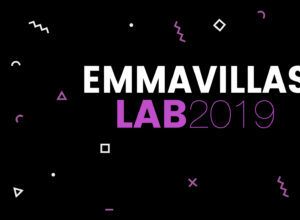 Emma Villas Lab: great participation also in Rome for the second date! 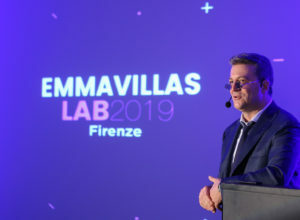 Emma Villas Lab 2019: more than 150 people and great interest in Florence! 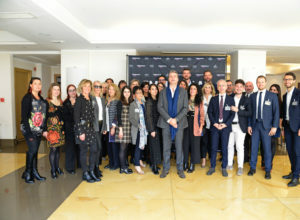 Emma Villas in Florence for the Emma Villas Lab! 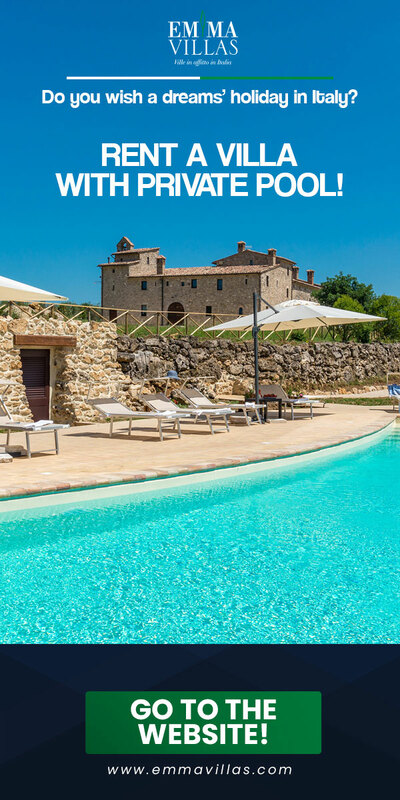 Easter holidays: stays in Italy from 3 nights with Emma Villas!